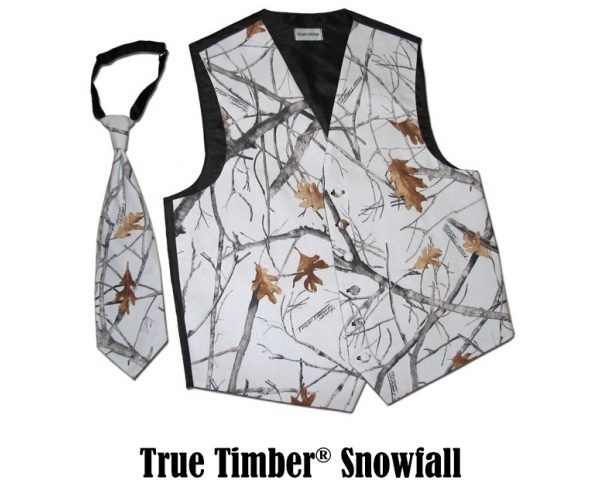 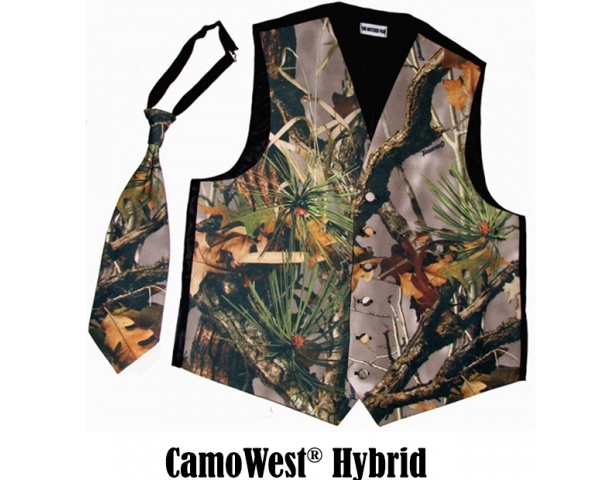 Check out our tuxedo vests and ties in 6 popular camo patterns! 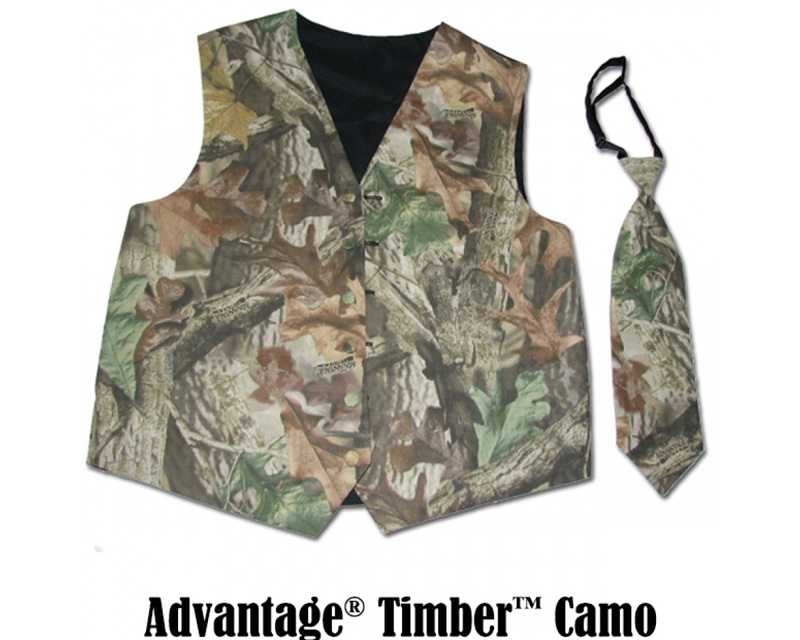 Advantage® Timber camo, True Timber® Outdoors XD3 camo, CamoWest® Hybrid camo, Realtree® AP™ camo and True Timber® Snowfall camo. 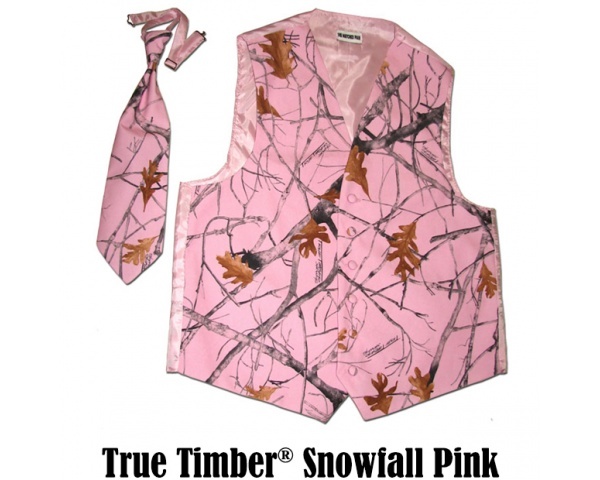 New for the ladies is our True Timber® Snowfall Pink camo! Tuxedo vest front is 100% cotton. 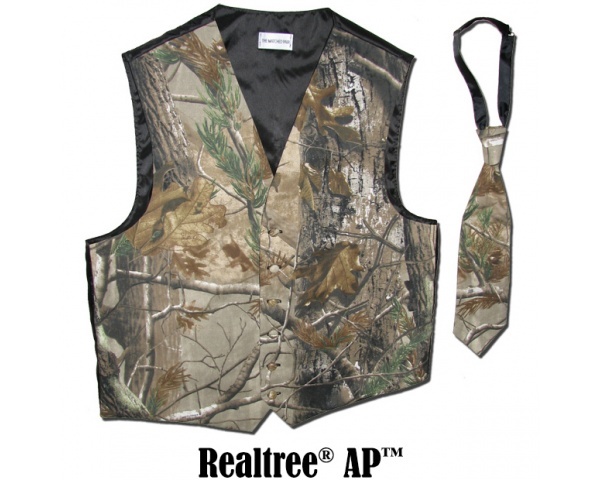 The back is 100% Polyester with an elastic adjustable back buttonhole for a comfortable fit. 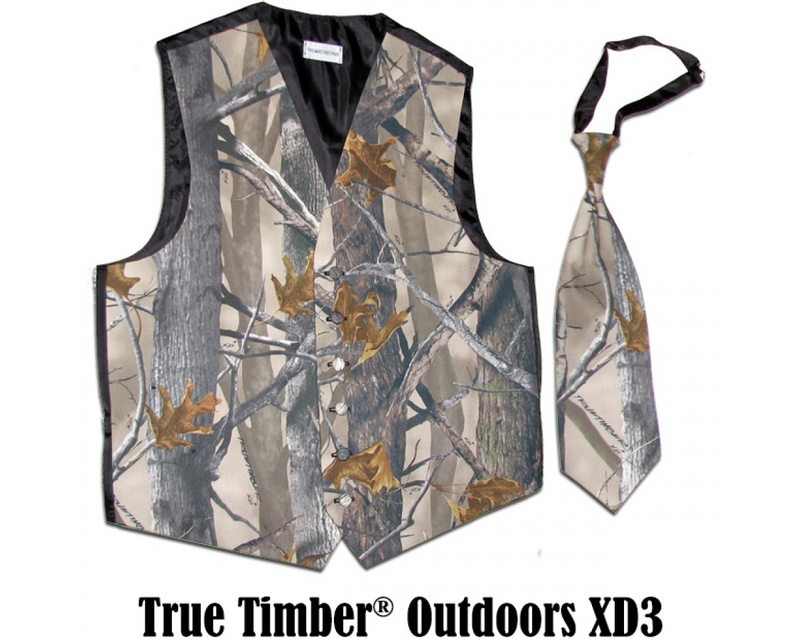 The tie has an adjustable neck clasp.